Recent studies have suggested a potential barrier to making CRISPR gene-editing treatments a viable option for inherited blood-related disorders such as sickle cell anemia, thalassemia, and primary immunodeficiency syndromes. Stem cells may respond to having their genes edited by shutting down—and trying to get around this roadblock could increase the risk of cancer. Now, a study from researchers in Italy has suggested that there could be a way to bypass these complications. 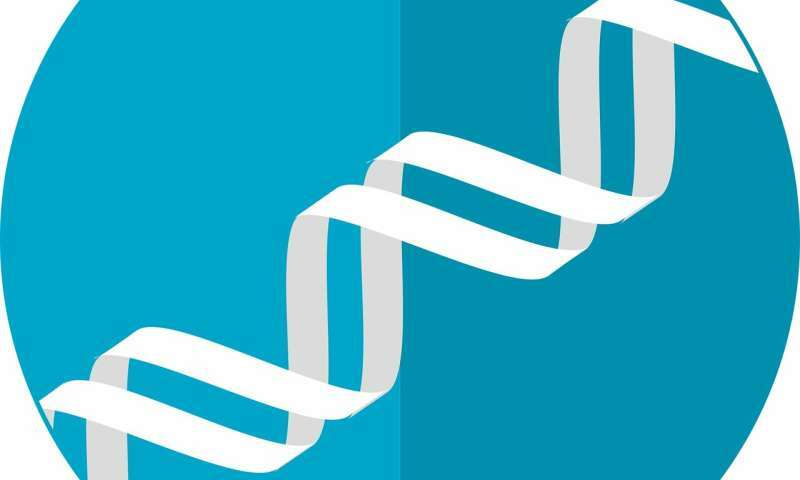 The team found that using more-precise gene-editing technology that induces fewer breaks in DNA may keep stem cells' natural damage-response pathways under control. The findings are published March 21 in the journal Cell Stem Cell. "Genome editing is a very powerful strategy for precise genetic engineering of stem cells, but it requires a complex procedure," says co-senior author Pietro Genovese, a scientist at the San Raffaele Telethon Institute for Gene Therapy in Milan. "Despite its tremendous therapeutic potential and the continuous advances in perfecting gene-editing platforms, the functional consequences of the editing process have yet to be fully elucidated." One of the barriers to successful genome editing turns out to be p53, a protein that's often called "the guardian of the genome" due to its role in conserving the stability of DNA and preventing mutations. When CRISPR edits genes, it cuts both strands of DNA at particular locations. But these double-strand breaks can signal to p53 that something is wrong. The protein then kicks into action and prevents the cells from proliferating. This is the opposite of what's desired when cells are being used as a potential therapy. Yet permanently shutting down p53 to prevent this defense mechanism can lead to the formation of tumors; defective p53 has been implicated in about half of all cancers. The team in Milan found a way around this unwanted consequence. Gene editing uses nucleases as "genetic scissors" to induce DNA breaks, followed by an adeno-associated viral vector that delivers the corrective sequence. But when these scissors are not specific enough, they may cut DNA in many additional places. The investigators used a combination of highly specific nucleases and vectors to introduce only the desired break in the DNA of hematopoietic stem/progenitor cells (HSPCs). "We showed that the impact of gene editing on HSPCs highly depends on the precision of the designer nuclease used," says Luigi Naldini, another study co-senior author and director of the San Raffaele Telethon Institute for Gene Therapy. "If the nucleases are not highly specific, and thus cut the DNA not only at the intended target but also at a few additional off-target sites, we do see robust and prolonged p53 response leading to detrimental effects up to irreversible cell arrest. "On the other hand," he adds, "if the nuclease is highly specific—and we use highly purified reagents and optimized protocols—we only see a transient effect on cell proliferation. This appears to be fully reversible and compatible with maintenance of the important biological properties of the hematopoietic stem cells." "Earlier studies pointed to the theoretical risk of selecting for p53-inactivating mutations upon editing, thus highlighting a possible tumorigenic risk associated with gene-editing procedures in a way that could jeopardize its therapeutic potential," says Raffaella Di Micco, the study's third co-senior author, who heads a lab at the San Raffaele Telethon Institute for Gene Therapy. "Our work shows that HSPCs tolerate one or a few DNA breaks well, with only transient p53 activation and a limited impact on their functionality (mainly manifesting of delayed proliferation). This cellular response is slightly more prolonged when highly specific 'genetic scissors' are used in combination with adeno-associated viral vectors delivering the corrective DNA sequence. However, if we transiently inactivate the p53 response during gene editing we may counteract this effect and improve the yield of edited cells, without indication of increased mutations or genome instability." "The other major challenge of gene editing in HSPCs has been the relatively low efficiency of homologous recombination in HSPCs, which is required for introducing the corrective sequence delivered by the repair template," Naldini concludes. "This hurdle has now been substantially alleviated by new techniques described in our and other recent papers." The researchers say this work provides molecular evidence for the feasibility and efficacy of genetic engineering in HSPCs. This gives them confidence that the technology will be successfully translated to human trials.